Israeli leader Benjamin Netanyahu has condemned as biased a speech by outgoing US Secretary of State John Kerry on Israeli-Palestinian issues. Mr Kerry said the prospect of a peace deal based on a two-state solution was in grave jeopardy. Israeli settlement building on occupied land was a major problem, he said. Mr Netanyahu said he was disappointed with the speech, which he said was “unbalanced” and “obsessively focused” on settlements. Mr Kerry had “paid lip service to the unremitting Palestinian campaign of terrorism” against Israel, he said. He added that the conflict centred on the Palestinians’ refusal to recognise Israel’s right to exist, but Mr Kerry “does not see the simple truth”. The issue of Jewish settlements is one of the most contentious between Israel and the Palestinians, who see them as an obstacle to peace and the creation of a viable Palestinian state. More than 500,000 Jews live in about 140 settlements built since Israel’s 1967 occupation of the West Bank and East Jerusalem. The settlements are considered illegal under international law, though Israel disputes this. A “two-state solution” to the decades-old conflict between Israelis and Palestinians is the declared goal of their leaders and many international diplomats and politicians. The United Nations, the Arab League, the European Union, Russia and the United States routinely restate their commitment to the concept. In his speech, Mr Kerry said that despite Israeli claims to the contrary, UN condemnation of illegal Jewish settlements on occupied land was in line with American values. “The two-state solution is the only way to achieve a just and lasting peace between Israelis and Palestinians. It is the only way to ensure Israel’s future as a Jewish and democratic state. That future is now in jeopardy,” he said. He added: “The Israeli prime minister publicly supports a two-state solution, but his current coalition is the most right-wing in Israeli history with an agenda driven by the most extreme elements. Barack Obama began his presidency with a flurry of diplomacy aimed at breaking the Arab-Israeli deadlock. It did not work and pretty soon, a succession of Arab revolutions and wars gave the president more pressing things to think about. Now, at the eleventh hour, another flurry, which has angered Israeli Prime Minister Benjamin Netanyahu. But could it help set the scene for future diplomacy? France is organising a peace conference in mid-January and it has been suggested that decisions taken there could form the basis of another UN resolution before 20 January, when President Obama leaves office. However, Donald Trump has made it clear he has no plans to push Israel into a corner. In two tweets issued on Wednesday, Mr Trump said: “We cannot continue to let Israel be treated with such total disdain and disrespect. The UN resolution passed last Friday stated that the establishment of settlements “has no legal validity and constitutes a flagrant violation under international law and a major obstacle to the achievement of the two-state solution and a just, lasting and comprehensive peace”. 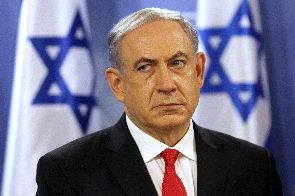 The US decision to abstain infuriated Mr Netanyahu, who has taken diplomatic reprisals against the countries that voted in favour of the resolution. #Israeli leader Benjamin Netanyahu has condemned as biased a speech by outgoing US Secretary of State John Kerry on Israeli-Palestinian issues. Previous articleJurgen Klopp has jokingly claimed Christian Benteke was sold to Crystal Palace because he broke the Liverpool manager’s glasses last season. Next articleUS actress Debbie Reynolds has died, a day after the death of her daughter Carrie Fisher, according to her son.